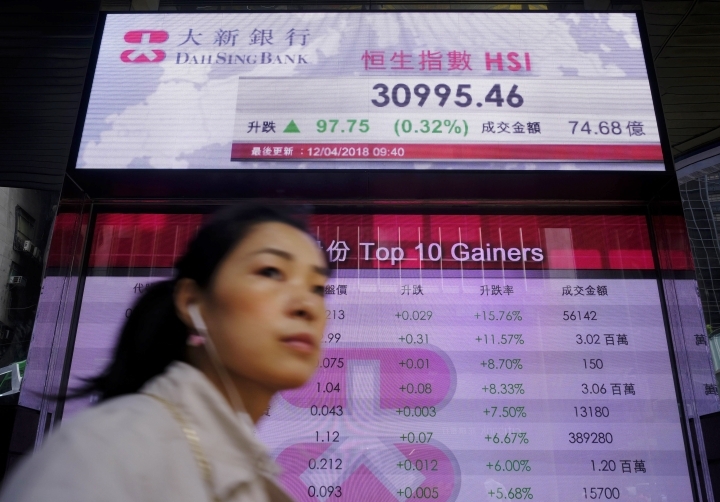 HONG KONG — Asian shares were mixed Thursday as investors digested the latest Fed minutes while geopolitical concerns overshadowed sentiment after President Donald Trump struck a defiant tone on the Middle East conflict. KEEPING SCORE: Japan's benchmark Nikkei 225 stock index dipped 0.2 percent to 21,646.15 while the Kospi in South Korea edged up 0.1 percent to 2,446.05. 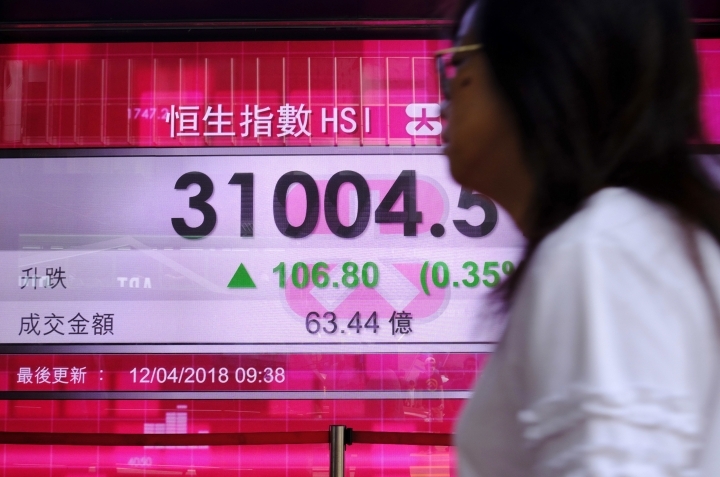 Hong Kong's Hang Seng fell 0.3 percent to 30,796.81 but the Shanghai Composite in mainland China slipped 0.6 percent to 3,188.97. Australia's S&P/ASX 200 lost 0.4 percent to 5,808.20. Indexes in Taiwan, Singapore and Indonesia also lost ground. FED MINUTES: At its most recent meeting in March, Federal Reserve policymakers said they felt the U.S. central bank might have to raise interest rates faster than expected to keep up with quickening economic growth and rising inflation that's coming close their 2 percent target, according to the latest minutes. Some officials also thought they might have to focus on slowing the economy to keep inflation under control. TRUMP TALK: In a tweet, Trump suggested that he wanted to retaliate against Russia after the recent suspected chemical attack. Separately, Saudi Arabia said it intercepted missiles fired by rebels in Yemen as well as drones that targeted an oil facility. The prospect of escalating conflict in the Middle East has sparked fears about tighter oil supplies, driving crude prices to their highest since December 2014. MARKET INSIGHT: "With the war drums quietly beating in the White House, markets tend to ignore the 'run of the mill' type issues like FOMC minutes," said Stephen Innes, head of Asian trading at OANDA. WALL STREET: The S&P 500 index fell 0.6 percent to 2,642.19 after Tuesday's 1.7 percent surge. The Dow Jones industrial average slid 0.9 percent to 24,189.45. 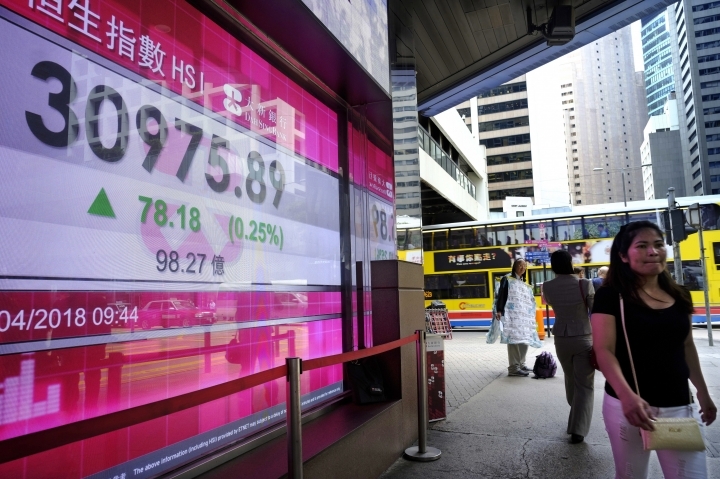 The Nasdaq composite lost 0.4 percent to 7,069.03. ENERGY: Oil futures climbed to a fresh three-year high. Benchmark U.S. crude rose 29 cents to $67.11 a barrel in electronic trading on the New York Mercantile Exchange. The contract climbed 2 percent to settle at $66.82 a barrel on Wednesday. Brent crude, used to price international oils, gained 24 cents to $72.30 a barrel in London. CURRENCIES: The dollar rose to 106.85 yen from 106.79 yen in late trading Wednesday. The euro was flat at $1.2369.